Liverpool could rekindle their interest in Atletico Madrid winger Arda Turan as Reds manager Brendan Rodgers plots his summer spending spree. Media reports in Turkey believe that the Spanish champions would allow the player to leave the club this summer, if the release clause in his contract is matched. Turan signed a contract extension with the Colchoneros last season, keeping him at the Spanish side until 2017. The 27-year-old’s release clause was increased from €24 million to €40 million as part of the new deal. 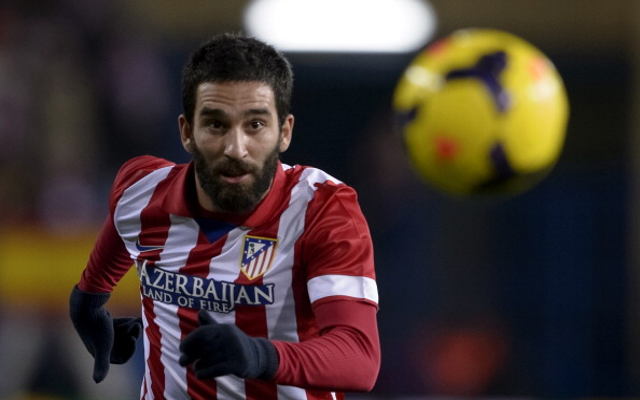 Liverpool have been keeping tabs on Turan and have been closely linked with the Turkish international in the past. Turan’s agent Ahmet Bulut recently confirmed that Liverpool had expressed an interest in his client. Madrid are interested in Arsenal’s Spanish midfielder Santi Cazorla according to the Daily Express, and are willing to sell Turan in order to fund their move. Turan, 27, joined Atletico from Galatasaray in 2011. He has since made 132 appearances for the Spaniards in all competitions, scoring 19 goals and providing 26 assists. He had his best year last season when he struck nine times, as Madrid won La Liga and reached the Champions League final. Liverpool have already recruited Southampton duo Adam Lallana and Rickie Lambert, and Bayer Leverkusen’s Emre Can this summer, while they are thought to be closing in on Benfica winger Lazar Markovic. More signings remain a priority for Reds boss Brendan Rodgers as he looks to strengthen his squad ahead of a return to Champions League football.